THE opening of Mandarin Oriental Jumeira, Dubai, developed by wasl Asset Management Group, marked the debut of the luxury brand into the Middle East region this February. 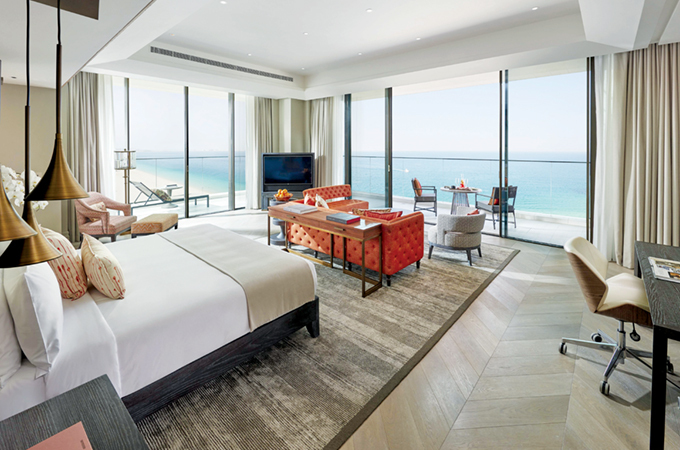 Located in the heart of Dubai, the resort features 256 spacious and elegant guest rooms and suites, most with private balconies and terraces, offering pristine ocean views or the dynamic city skyline. Mandarin Oriental Jumeira, Dubai has six restaurants and bars, boasts exceptional meeting and event facilities, providing a wonderful setting for weddings and social celebrations. The Spa at Mandarin Oriental Jumeira, Dubai features nine treatment rooms, while some have private terraces overlooking the ocean. There is also a state-of-the-art fitness centre and a Little Nomads kids’ club with a range of fun activities for younger Mandarin fans. For the newly opened property in Dubai, the GCC market will be number one feeder market, followed by Russia, the CIS, Germany, United Kingdom and France. Since the launch of the Mandarin Oriental Jumeira, Dubai earlier this year, the brand’s Doha outpost has also opened doors.